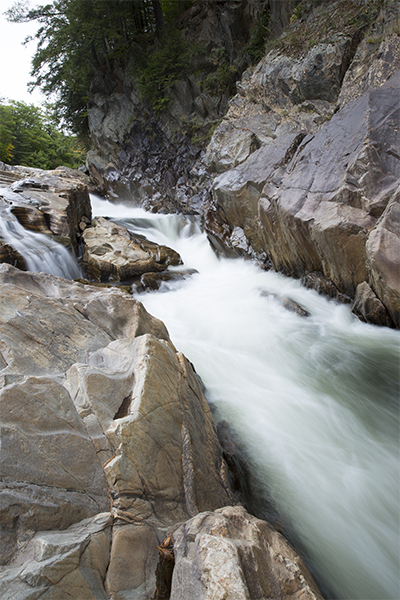 This waterfall is known for its strong whitewater currents. 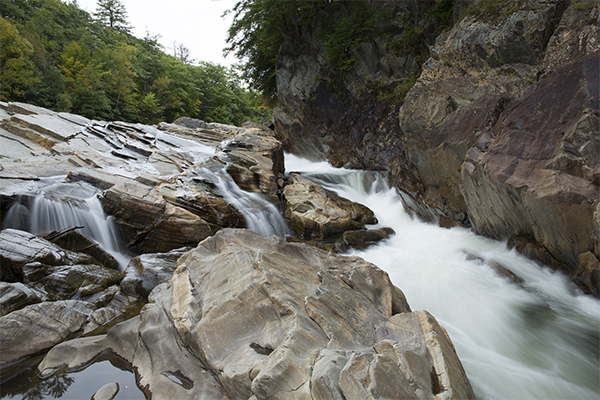 The Pemigewasset River is a very large water source that has housed many dams and mills over the years for producing clean energy. The cascades are consistently wide and violent through the gorge found here, and you definitely do not want to get caught in them. 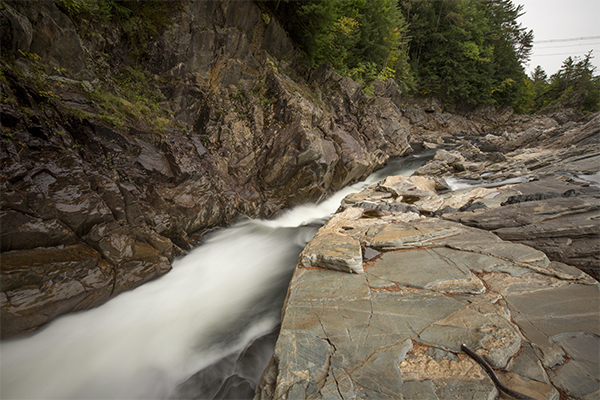 If you choose to swim in the calmer currents above the falls, make sure to stay far away from the stronger currents on the opposite side of the river from the swimmers beach. 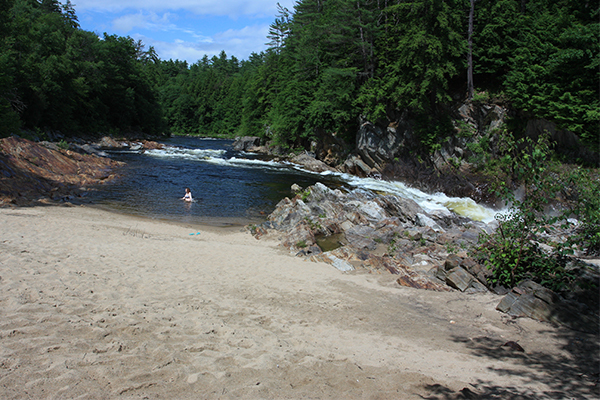 The small beach at the head of the falls is a popular party spot, so families with children may want to avoid this one late in the day. As long as there isn't too much trash behind (which unfortunately is the case most of the time), this can be a pretty spot that is certainly worth visiting. 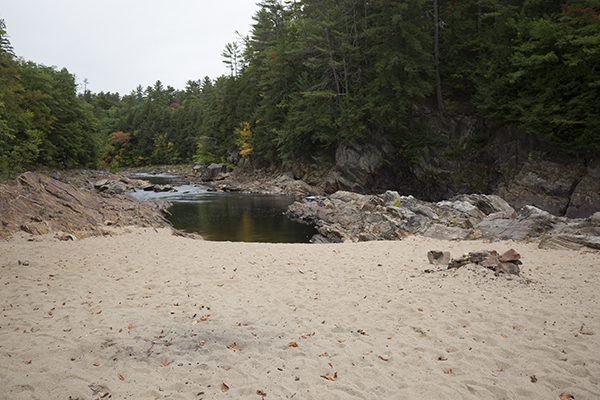 If you are looking for more swimming opportunities, you can access a public beach area just downstream of Livermore Falls. 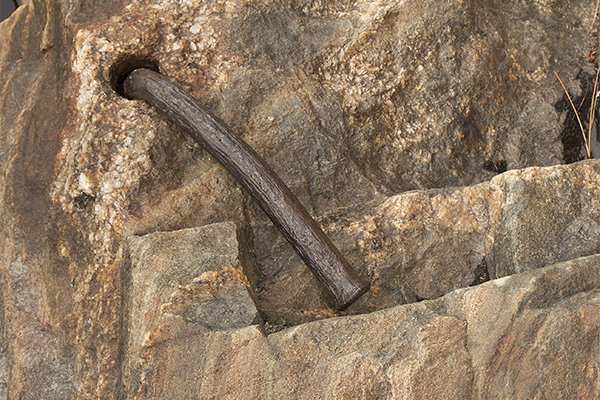 The trailhead for this separate spot is found on Livermore Rd off NH 175 near the border of Campton and Holderness. You cannot safely get there from the trailhead used for the falls, so you must hike in from the other trailhead. The trail to the falls begins at the end of the parking area, currently marked by a white Campton Historical Society sign for the falls. From the trailhead, follow a gravel road down as it turns into dirt and soon comes to a set of train tracks. Cross the tracks, bear left to re-enter the woods, and follow along a chain link fence. This path will bring you past fenced-in views of the falls on the right and eventually down to river level at the top of the falls, where you will find a surprisingly nice river beach area. 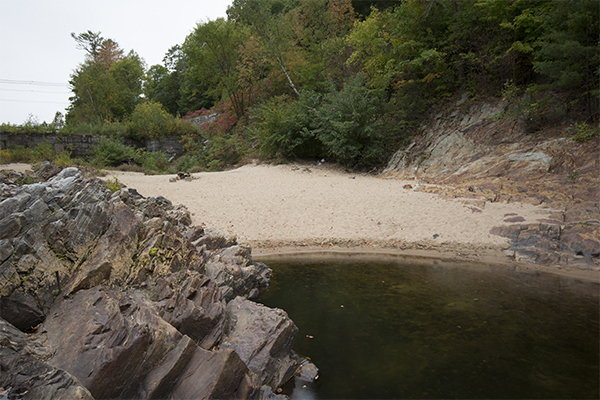 If you explore to the right of this beach you will get the best view of the falls. From I-93 in Campton, take exit 27 and head east following signs to US-3. Take a right onto US-3 south and follow that road for 2.1 miles and there will be a two large dirt pull-offs on the left. 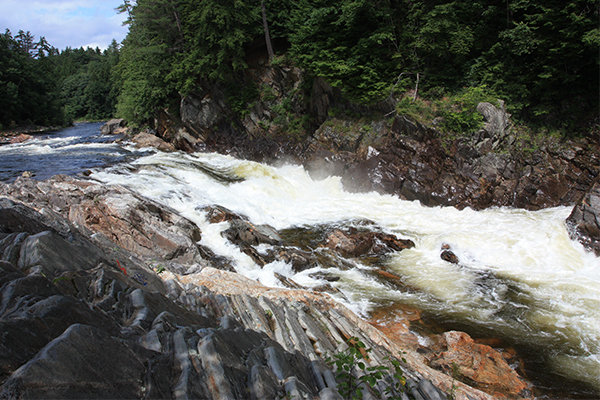 These pull-offs are 1.2 miles north of the junction of US-3, NH 3a & NH 25 in Plymouth. A small white Campton Historical Society sign that currently sits between these pull-offs helps to signify the right spot for you to park. To get to Campton, take I-93 north from Concord or I-93 south from Lincoln.